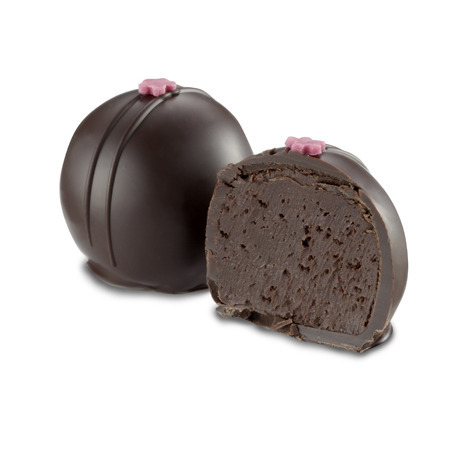 Make the prefect truffle with this recipe! 1. In a saucepan, pour the heavy cream, butter, invert sugar, corn syrup and heat up to 185F. 3. Pour the hot liquids over the chocolates, add the glycerol and vanilla and steep for 2 minutes. 5. Pipe in to the silicone molds and cover. Set in the refrigerator at 34F for 24 hours and then freeze for 12 hours at -20F. De-mold the ganache and cover to bring back to room temperature.